Cryptocurrency gambling is no longer an exclusive of Bitcoin online casinos. The world of land-based gambling is likewise changing and warming up to the idea of exploiting the benefits of cryptocurrencies and one South Korean casino is about to prove this very soon. Revealing plans to launch cryptocurrency VIP games in its land-based 7 Luck Casino resorts, South Korean operators GKL (Grand Korea Leisure) are making bold moves to bring what could become the future of land-based gambling, especially in Asia where high-rollers face tougher government restrictions. As reported by Forbes, GKL has partnered up with Honk Kong-based fintech company Dragon Inc. to introduce cryptocurrency gambling into its VIP rooms. The name Dragon Inc. might sound familiar as it is a name casino portals have reported on before when the company launched an Initial Coin Offering (ICO) for $500 million. The ICO, which we wrote about in November, was launched to raise funds for a floating cryptocurrency casino in Macau. And now, the company is to help GKL achieve the same thing with the help of its own Dragon Coin tokens. As reported, the strategic partnership will see Dragon Inc. implement its own Dragon Blockchain platform in the VIP rooms of 3 casinos from the 7 Luck brand. The playing will be funded by the Dragon Coin – an ERC20-based token that is issued by Dragon Inc. The first of the rooms to implement the technology is planned to launch as soon as April this year. It’s also interesting to note that, during the past months, the local government in South Korea hasn’t been openly acceptant of cryptocurrencies, especially ICOs. Last September, Initial Coin Offerings were banned in the country, just before Dragon Inc. launched its campaign. However, since the government didn’t really enforce the ban, most locals were able to continue investing in foreign ICOs like the Dragon Coin. Reportedly, there is now a new policy in the making that would allow such crowd-funding campaigns back into South Korea, according to Fortune magazine. The introduction of Dragon Coin is to significantly shake up the world of high-stakes gambling in Asia. Most high-rollers in places like Macau come from Mainland China where restrictions on cash outflow don’t allow them to take out large amounts of money out of the country. This problem is remedied by the use of so-called “junket operators” who make high-roller gambling possible and charge 5-7% to prospective gamblers for the service while the operators themselves also face a cost of around 5%. As explained by Dragon Inc., with the use of its Dragon Coin and Dragon Global Chips (chips you can buy with the token) the total cost will be minimized to approximately 0.5% on each side, or 1% in total. The way the process works is that players buy the tokens at home with local currency and then use them to buy the Dragon Global Chips with their mobile wallet when they arrive at a foreign casino. After playing, the chips are exchanged back for tokens which can be sold upon returning home for local currency. 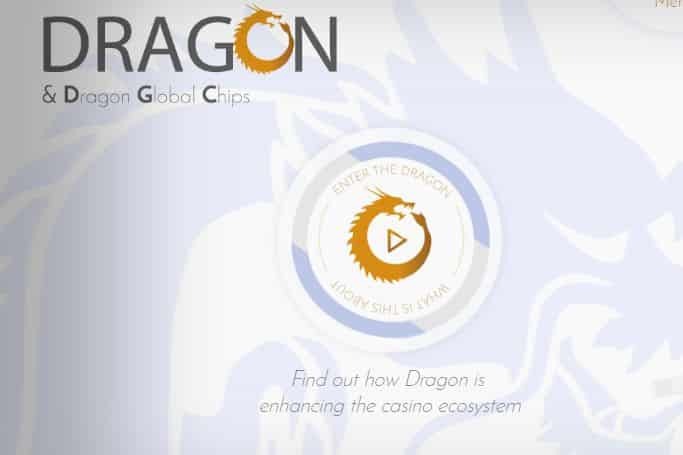 The same system is to be used in Dragon’s upcoming floating Dragon Pearl Casino and reportedly there are also talks to introduce Dragon Coins into online casinos as well.